EU telecoms markets opened for competition in the late 1980s, through a step-by-step process, which culminated with the liberalisation of the voice telephony in 1998. The emergence of new technologies, the rise of the Internet and the technological convergence led to the adoption of the 2002 regulatory framework, which introduced a harmonised set of regulatory principles and procedures, setting the ground for today’s regulatory activity. Since then, the EU witnessed many changes in the regulatory landscape and is on the brink of another. The market has evolved, the industry and consumers’ expectations have changed, the policies have shifted their focus. Did regulation change as well and in which way? How do regulators respond to market challenges and evolutions? What to expect from regulation and regulators? What to expect from the market? What will the next 15 years look like? This session will focus on the outcome of the last 15 years of regulation seen from different perspectives, while also trying to anticipate some of the changes the next 15 years might bring along. Second session The remaining 180° - What next? The moment of the full liberalisation of the Romanian telecommunications market in January 2003 was prepared by the setup, in 2002, of the independent regulator, in order to ensure the implementation of the national policy in the electronic communications and the postal services. A period of intense regulatory activity followed, with a view to the market liberalisation. By the end of 2002, the Authority had launched for consultation 23 regulation drafts. The market response was prompt: by the beginning of January 2003, 367 companies had notified the regulator about their intention to provide electronic communications networks and services and – by the end of the month – more than 500. 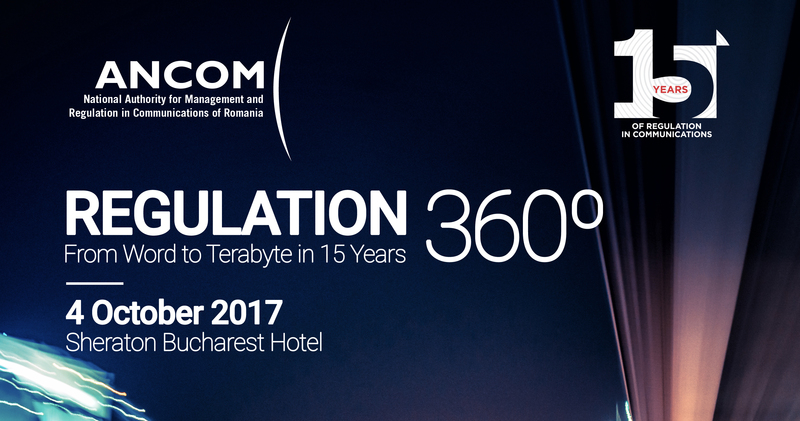 15 years later, Romania boasts a vibrant competitive communications scene that keeps evolving at an ever-faster pace, with the emergence of new technologies. How will the business models evolve in the context of the next technological revolution? How will the synergy with online service providers be achieved? What will next generation’s competition look like?